I'm a bit mystified as to why the indexer settled on chickpeas, green beans, and artichoke hearts in rendering this recipe. 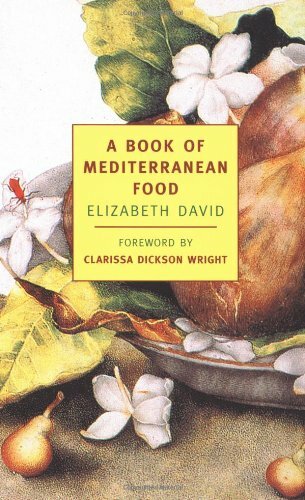 Elizabeth David calls for "a mixture of vegetables" and suggests green beans, artichokes, dried haricots, chickpeas, "etc." She also wants you to make your own aïoli. Really, there's no point in this dish with bought mayo -- that's a Midwestern potluck supper, not an aigroissade. Works well with young leeks in the summer when the tomatoes are good. This is essentially a highly-flavored bread salad that is put back into the bread. It needs to sit overnight, after which it is delicious. A bit messy to eat but wonderful. Only worth making when local tomatoes are available. The recipe makes more than you need to stuff the baguettes; cut back on the bread. The recipe in my book does not have canned pimentos; I used a green pepper. Not part of either the ebook nor the 1955 edition.